This week I had the privilege to speak at iHomeschool Studio- an online webinar brought to you by the iHomeschool Network. My topic was Discover the Joy in Letting God Lead Your Homeschool.This is one of my very favorite topics to speak about and I am grateful for the opportunity. I have already heard from several attendees that were blessed by it, and that blesses me! As I was doing some chores around here today, I was really pondering this topic. Joy. I was thinking about how we are always seeking joy. Yet, joy is not something to be sought after. It is actually the product of a life fully surrendered to God. Joy has nothing to do with happiness. In fact many times we can be very unhappy, but we can still have joy. You see, I never wanted to homeschool. I never thought I would be here eight years later. Yet, it was something that God surely placed on my heart. He called me and I obeyed. Even though I didn’t want to. I knew I had to. Then last year, my husband lost his job. Most days I couldn’t even think of smiling, let alone declaring I had joy. Yet, those trials have actually resulted in so much joy! God had it all happen for a reason. Many days life is hard. We should’t expect it to be easy. No calling is ever easy. We shouldn’t expect everyday to be smooth. We should expect many bumps in the road. Yet , in those expectations, we can know that we are growing, persevering, and walking closer to the Lord. He uses difficulties to bring us closer to Him. And that is where the joy comes from. Do you hear that? Consider it JOY? Most people would think that is ridiculous. 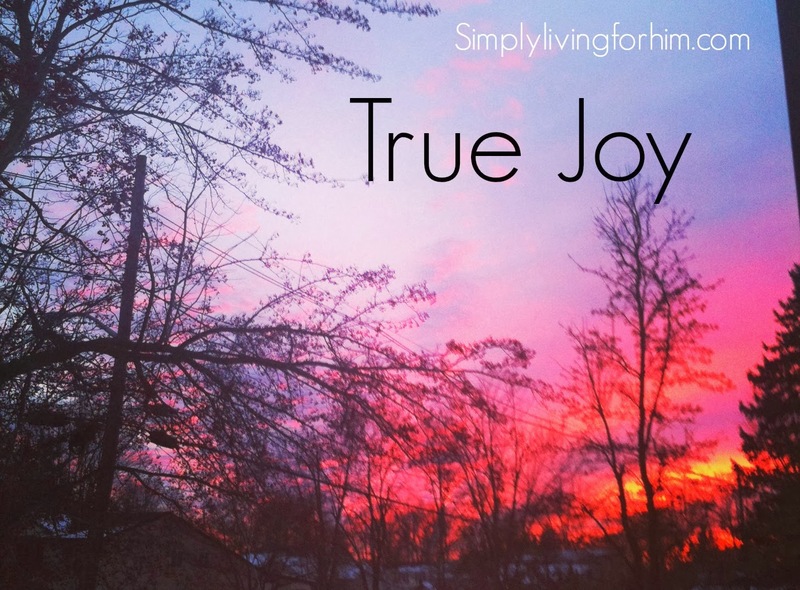 How can you have joy in the midst of a trial? But you can. Because you know that this is exactly where God placed you for a purpose, and you know He will work it all for good. Embrace the difficulty. See it as a means for growing closer to the Lord. See it as a way to build those spiritual muscles. Let the joy come from knowing you are doing His will, even when it is hard. He will provide for every need if we follow Him. I didn’t want to homeschool, yet He has worked immeasurably more than I could ever have dreamed of because I am on this journey. I didn’t want my husband to lose his job, yet God provided in so many ways beyond financial that have brought us pure joy. Our family has grown, I have grown, and I could’t imagine where I’d be if I had NOT followed Him…even if where He led was hard. The joy comes from pushing through the difficulty. So don’t expect it to be easy. God wants us to be refined each day as we grow closer to becoming more like Jesus. And remember, Jesus walked the ultimate suffering. He was mocked, beaten beyond measure, and killed. Yet He obeyed. And He is the ultimate source of our joy…even though He suffered. So embrace the difficultly. Be joyful knowing you are persevering. 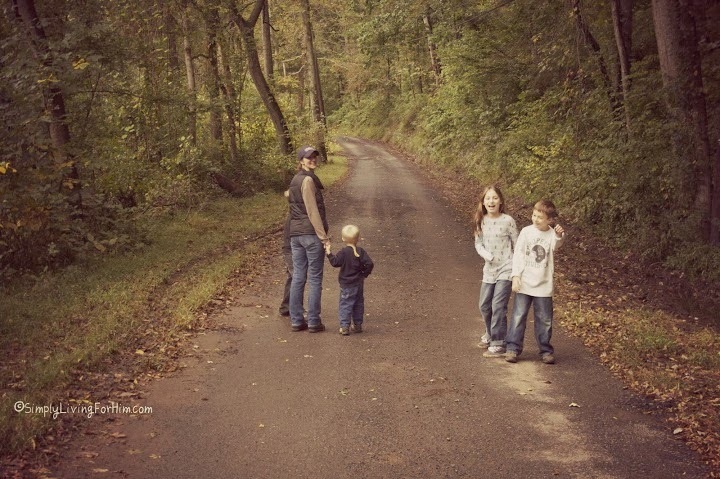 Discover the joy in letting God lead you…wherever that may take you….